Produced by David Croft, Episode 1 Directed by David Croft and John Kilby, Episodes 2 - 6 Directed by John Kilby. Episode 1 : "That's Entertainment?" The concert party have to put on a show that is specifically "english". The Sgt-Major, knowing full well that if the show is not a success, the gang will be sent up the jungle at last for some real action. What does he do? He gets a totally Scottish audience, and the show contains nothing Scottish whatsoever, hence trouble! In the end, the concert party put on another show which saves the day. Meanwhile, the char-wallah has an audition, the less said about that, the better. Episode 2 : "The Guinea Pigs"
Gloria is taken ill, and some doctors arrive to see what is the matter. It appears that it is all in his mind. Whilst there, the doctors mention that they are after a bunch of "volunteers" to test a new anti-malaria drug. The Sgt Major cons the boys into doing the test by blackmailing them with the thought of beer and chocolates. Some of the concert party contract serious side effects, such as swollen cheeks and faces, and will Gloria need a bra for real? 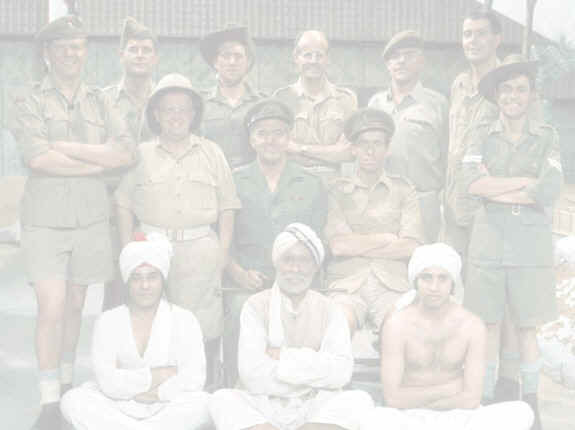 The Sgt Major also looks like he has malaria, but it transpires that it is all in his mind. Episode 3 : "Dog In The Manger"
After finding out that Sgt Major Williams has been seeing a married woman whilst on his leave in Simla, Captain Ashwood goes mad about it and storms off. The Sgt Major tells Colonel Reynolds that the Captain has "dog in a manger" syndrome, but the Colonel tells Williams to break it off with the married woman, which Williams agrees to. In the meantime a lady Welfare Officer (played by June Whitfield) comes to the camp, to help the men out with any personal problems back home, and she falls head over heels for Captain Ashwood. She eventually lures him out into the jungle under false pretences, but will the good Captain behave himself? Episode 4 : "The Great Broadcast"
A mobile BBC broadcast unit is to visit the concert party. They wonder what they are going to put out over the radio, after all, a strongman or a ventriloquist aren't much good on the radio. They decide to let Captain Ashwood write something for them. After much rehearsing, they find out it is a request show and are not pleased that a Vera Lynn record is to be played instead. Parky's mother is to be one of the callers and dedicates the record to Parky and, of course the Sgt Major. After Gloria hides the record, they get to perform after all! Episode 5 : "Class Of 1945"
Episode 6 : "Star Commandos"
After being told that they are to be going in with the first assault on Malaya, they are then informed that they will be entertaining the troops whilst in combat, with bullets whistling around them. 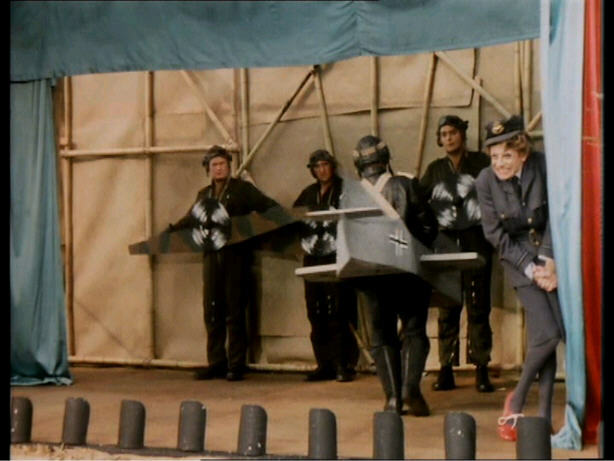 They practice by dressing up in a number of guises whilst having dummy ammunition thrown at them. Afterwards, the Sgt Major reveals that he has "borrowed" a device from the real troops for helping them get food, which if is switched on they get food parcels dropped for them. Unbeknown to the Concert Party, a radio message has gone out to the troops, to tell them to turn off the device, as some have fallen into enemy hands, any that are used will be presumed to be enemies and will be bombed. The Concert Party turn on theirs and look out for food parcels, but they get something they didn't expect.